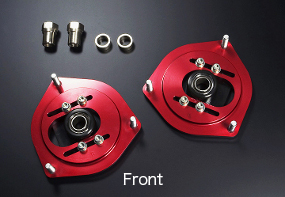 These mounts will increase performance of the shock absorbers. Also increasing the rigidity of the chassis giving a firmer more responsive ride. 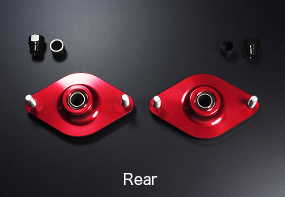 The Pillowball top mount by eliminating movement from the standard top mount will also give superior steering. Front pillowball upper mount is able to adjust front camber from 0 to -2.7degree. The precision Spherical bearings are manufactured by NMB.